Back to Library » Smart City » Water infrastructure innovations are not scaling in the US. Why? Founded RePipe 4710 to modernize water pipe replacement. Also an avid bicyclist who has almost achieved his goal of riding on all seven continents; only Antarctica remains. Water infrastructure innovations are not scaling in the US. Why? The US produces some of the most exciting innovations the world has ever seen. We gave the world the internet, the iPhone, and the, arguably equally important, duct tape. But when it comes to the water infrastructure, we’re a bit behind the curve. For example, countries like Israel and Namibia have been doing direct reuse of recycled water at scale for decades, and now we’re just starting to catch up. Part of that has to do with scarcity, part of it has to do with regulations at the federal and state level – but part of it is simply because there aren’t easy ways for local governments to try “new” things in the United States. Defining what “proven” means. We’ve know that local governments want to be innovative, but they also don’t necessarily want to be the first to try something. That’s completely understandable when it comes to drinking water, where risks are directly related to the health and safety of residents. That said, we often find that the ways RFPs are written can be really restrictive – forcing local governments into only seeing, or only choosing the types of solutions that are currently failing around us every day. Maximizing the value of RFIs for everyone. RFIs and design competitions can be a great way to get new ideas into the city. But they are also a lot of work for vendors. We’re excited to brainstorm about how those creative procurement strategies can be structured to ensure they lead to real procurements or pilots, and that pilots (if successful) open the door to full-scale deployments. That way they work for everyone! Expanding performance contracting. All of the details of performance contracting haven’t been fully worked out in the drinking water sector but the potential upside could be so massive – it represents a way effectively manage risk, ensure performance and contain costs – that we are eager to discuss how the applications of performance contracting could be expanded. The reason we’re so excited to have these discussions is because our company, RePipe4710, offers trenchless water main replacement that utilizes a flexible, foldable material that’s inserted into a failing water main to become the new pipe. Despite all of the benefits that our solution provides – with our solution, main replacement can be done without digging up an entire street, which means massively reduced disruption times and costs – current procurement processes are biased against new solutions and it can be very difficult to secure new pilots. The procurement bias against new solutions is particularly ironic for us at RePipe because our solution isn’t really new, it’s just new in the Unites States. Our flexible, foldable pipe replacement is an improvement on the high-density polyethylene pipe (HDPE) solution that has already been deployed in 85% of the UK’s water mains and in cities like Palo Alto, CA. 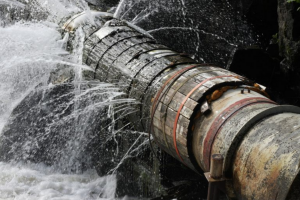 The American Water Works Association estimates the $1 trillion will be required to replace underground water infrastructure over the next 25 years. We know that to achieve that investment, local governments in the United States will need access to new ideas, new partners, and new money. The Procuring Resilience Workshop is a great first step to do just that. Why cities and govtech companies talk past each other and how to fix it. Communicating value provided to citizens is absolutely key. Interview with Allie Kelly, Executive Director of The Ray, an organization transforming highways into testbeds for infrastructure innovations. Street light poles are really valuable. Do you know why? Street light poles are one of cities' most valuable assets, but most cities don't recognize that and risk giving that value away to the private sector.